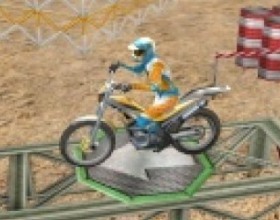 Take your stunt bike, upgrade and customize it and start performing various tricks in the air while you jump over huge obstacles. 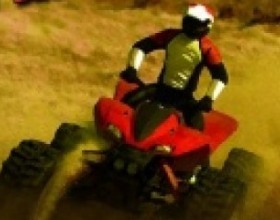 Perform wheelies, front and back flips and more! Use Arrow keys to control your bike. Use number keys to perform stunts. Now you can race your motorcycle through the countryside dirt tracks, take the high jumps, ride through the farms and other obstacles and objects. Crash objects on your way for bonus points. Use Arrow keys to control your bike. 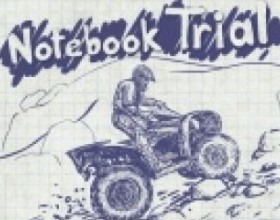 Trial bike races are really stunning and extreme. 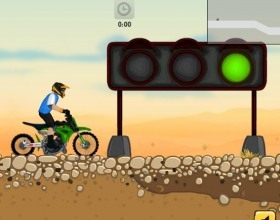 And now you are able to take control over your bike and race through the tracks before time runs out. Don't touch the ground to avoid penalties. Use Arrows to move. Press Z for Wheelie and X to Hop. 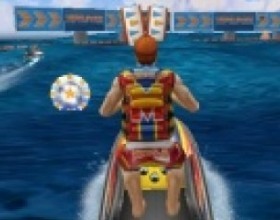 Sit down on your Jet Water Bike and perform various tricks in the air while racing through different tracks against your opponents. 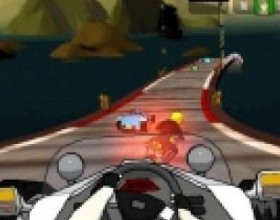 Use Arrow keys to steer and avoid obstacles. Collect coins on your way to get higher score. Use Z, X, C to perform stunts. 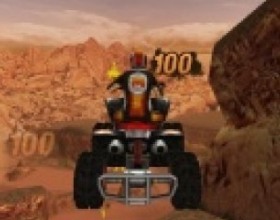 This game is so cool that it's hard to believe that something like that is possible in flash :) Grab your Quad Bike and race through extreme tracks and terrains. Jump over tramp-lines, collect stars, avoid obstacles and beat your opponents. Use Arrow keys to control your bike. Press X to change camera. 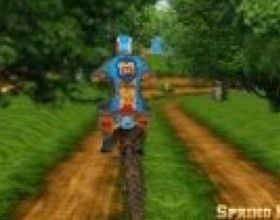 Your aim in this drawn trial bike game is to reach the finish line as quick as you can. You can choose between bicycle, motorcycle or quad bike. To keep your balance and control your bike use Arrow keys. Press Z to boost. 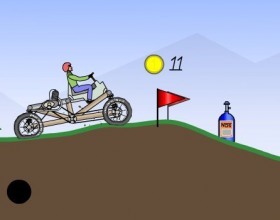 In this game your task is to ride your tricycle and get as far as possible. You have to rescue your friend from trouble! 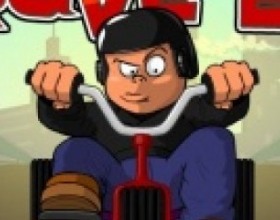 After each ride you'll earn money that you can use to purchase upgrades. This will give you opportunity to travel further! 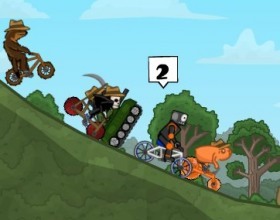 Take your bike and race through hordes of zombies. Your task is to kill all of them. 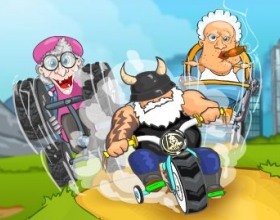 Earn upgrades for your bike and weapons. Use arrow keys to control your bike. Use Mouse to aim and shoot. 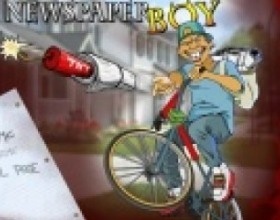 This newspaper boy hates his job. He can not longer drive and throw newspapers. So help him to destroy his neighbourhood! Throw explosive newspapers through all of the windows! Earn money to purchase upgrades! And avoid obstacles on your way. Use Arrows to move and use Mouse to aim and throw papers. Get on the BMX bike and begin your race. 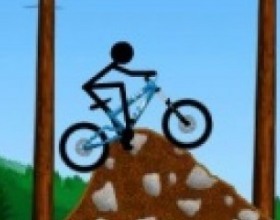 Help this stick man complete all trail and earn gold medals, collect money to upgrade your bike. Game saves each time you ride through checkpoint sign. Use Arrow keys to control your bike. Press Space to jump. 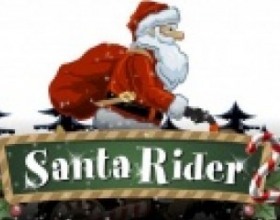 Have you ever seen Santa riding motorcycle? It's a 21st century so he is using new transport to deliver all presents. 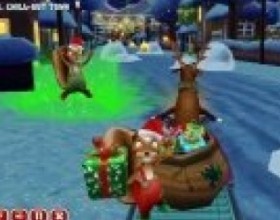 Balance yourself, collect presents on your way, perform stunts in the air. Use Arrow keys to control yourself. Are you ready to race through uphill tracks and perform different stunts in the air? Customize your driver, collect money on your way to upgrade yourself and unlock new vehicles! Use Arrow keys to move, press Space to jump, X to use turbo. Are you ready for top speed race? 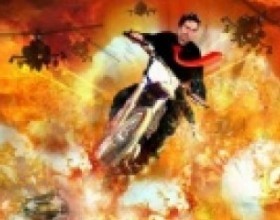 Your task is to complete scrapyard, grass, snow, cave, forest, swamp, desert and city race tracks on your super fast cosmic bike. Earn money and spend it on upgrades. Use Arrows to control the bike, X - boost, Z - shockwave. 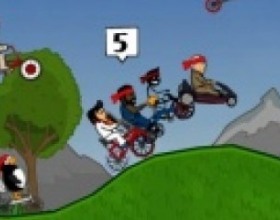 Now original Cyclo Maniacs heroes have become Ninjas. Your goal is to save Princess Jennifer from them. Ride as fast as you can over hills and valleys. There are 39 new tracks, 50 riders, additional mini games and many more. Use Arrows to control your bike. Press Space to jump. Your task is to control your vehicle and destroy everything on your way. Destroy cars, blow up explosives and crush everything on your way to the finish line. 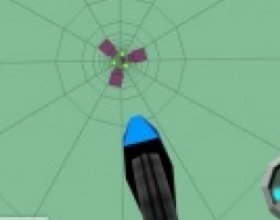 Use Arrows to control your ride. Press Space to jump. Now you play as an Agent Zero who has to run, attack and avoid enemy attacks. 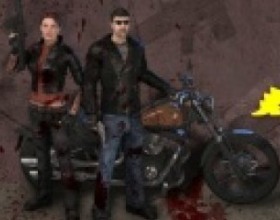 Get on a bikes, drive a cars and many more on your way while shooting down your enemies. Use Arrows Left and Right to shoot. With Arrow key Up - Jump, with Down - duck and slide. Press Space to throw grenades. 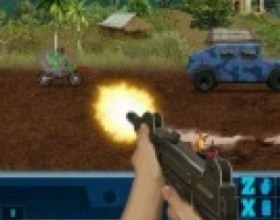 Your task is to protect your army Hummer by shooting down all enemy attackers. Upgrade your guns between the levels. Also you're able to air support. Use Mouse to aim and fire. Reload with Space key. Use Z to throw grenade, X to spill oil on the road and C to deploy spikes. Use 1-5 numbers to use air strike. Pick up your bike or a car and finish dozens of racing tracks. Earn money to buy cool upgrades for your car or a bike. Use Arrow keys to control yourself on the road. Use Z to perform freestyle move and X to use nitro. Drive through the pipes as fast as you can. 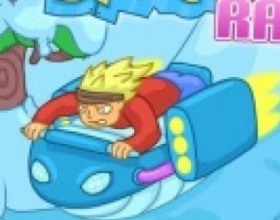 Pick up various turbo boosts and avoid all obstacles. Feel the speed and constantly increasing heartbeat. Use W A S D or Arrows to control your bike. 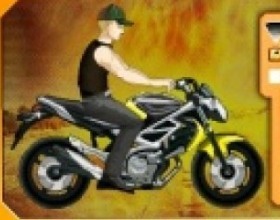 Motorbike is a great invention in the industry of the means of transportation. It represents freedom and opportunity to explore the world with its huge power and speed. Many generations have been fond of riding a motorbike, as it is symbolizing their self-expression. Therefore, computer games developers could not but use this excellent chance and had created a unique and thrilling product. 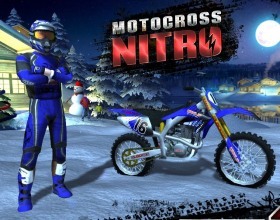 Often motorbikes games are associated with sport games. This is, though, only partly true, as they separated into quite different category. Naturally, in these games the gamer can choose whatever motorbike he likes most. Usually the main task of the gamer is to proceed through the several laps which vary in complexity and length of the distance. 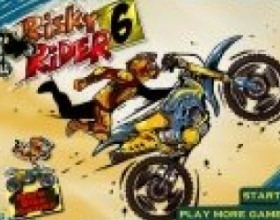 Another subgenre includes somewhat adventurous motorbike games. 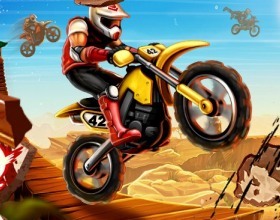 Within this subgenre dirt motorbiking is quite popular. 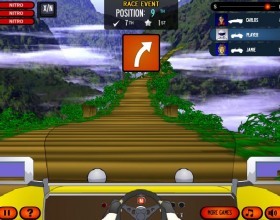 In these games the player has to cover long distances through different terrains, which are hard to travel. Thus, many obstacles must be overcome. 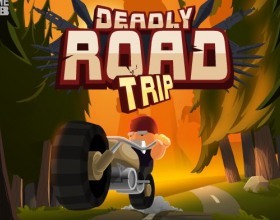 Here, good technical characteristics and power of the motorbike are really important, as the player is going to crash, hit into the ground and experience various extreme situations. Another extremely popular subgenre is motorbike racing. It can take place in different arenas, tracks and even streets. Obviously, it is quick reaction and skillfulness in managing the motorbike that is important here. Street motorbike racing are very complicated because, unlike sport cars, motorbikes are hard to navigate in the relatively narrow space of the streets, thus, the player must possess certain skills to perform successfully. 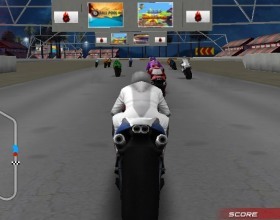 Also, motorbike games can be multiplayer, that is, several gamers can play simultaneously through the access to the intranets, extranets, the Internet. This is very convenient, because gamers can unify in teams, join their efforts, organize different tournaments, etc. 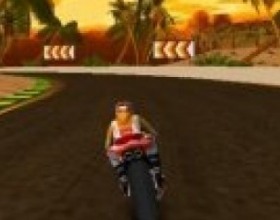 Motorbike games are available online. Their number is indeed huge and is rising all the time. New games are constantly appearing, and the genre is one of the most frequently updated. No wonder that it is possible to miss the best new games. Motorbike games will definitely be interesting to everyone who loves freedom, the absorbing sense of power and adrenaline running through his veins, which motorbikes enable him to feel.